Now, I cannot even recollect how and when I ran into Archana Suresh and her brainchild, Bring a Smile foundation. It has to be at one of her collection drives. Bring a Smile has been still at a nascent stage then. The team would gather clothes, blankets and other giveaways from neighbors and friends, sorted them, hopped on to few cars and went on to distribute the clothes near Cancer hospital, Niloufer hospital, and few slums on the way. In one winter, Archana and the team took the next step and initiated the first winter blanket drive, gathered donations for blankets, bought them from a wholesale vendor in old Hyderabad, and started the distribution in the middle of the night. We just wanted to make sure we give the blankets to the real needy. So, like the little Elves from the Elves and the ShoeMaker story, bunch of us went around the city, searching on the pavements for people sleeping with nothing to protect them against the cold and put the blankets on them to keep them warm. There has been lot of happiness in sharing but it also ended up with a feeling that the blankets we had were not enough. Fast forward, the word spread far and wide, and in 2017 winter, Bring a Smile team distributed 1200 blankets to the underprivileged just in Hyderbaad, and in a first, 350 blankets were sent to Delhi, Mumbai, Bangalore and Kerala for distribution there as well. And, this is just one of Bring a Smile contribution to the society. During the recent years, the foundation helped with few government school's infrastructure, funded someone to open a tiffin center, has been an active donor for the upliftment activities of Rebbanappally village, assisted with the treatment of few severe health cases. The reach of the team is not limited to any particular requirement. As long as it is a legitimate request, the team went above and beyond to mitigate or alleviate the condition. And all this is just the tip of the work done by the team since 2012. But, who is part of Bring a Smile team ? 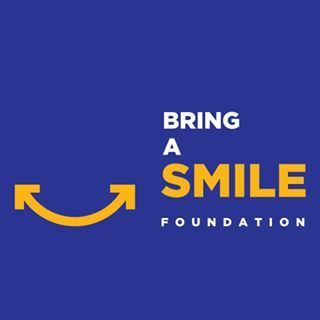 It is initiated by Archana Suresh but anyone who is out there ready to help in times of need can join the Bring-a-Smile team. It is indeed a foundation of the people, by the people, and for the people. You can reach out to the team through their facebook page here.